After getting a quick tour of his gorgeous Camden apartment, we had the chance to sit down with American Heldentenor Bryan Register. We caught him during some much-needed downtime between gigs, before he makes his company debut with Grange Park Opera in the title role of Tristan und Isolde. It will be his first performance of the role in the UK, and he’ll follow up his Grange Park shows with another Tristan in Tokyo. Register’s repertoire includes some of the most enviable tenor characters in opera. Wagner roles like Lohengrin, Erik in Der fliegende Holländer, and both Siegmund and Siegfried in The Ring Cycle keep him busy, as do Bizet’s Don José, Beethoven’s Florestan, and Berlioz’s Énée. We were curious: what does it feel like to sing this kind of music? 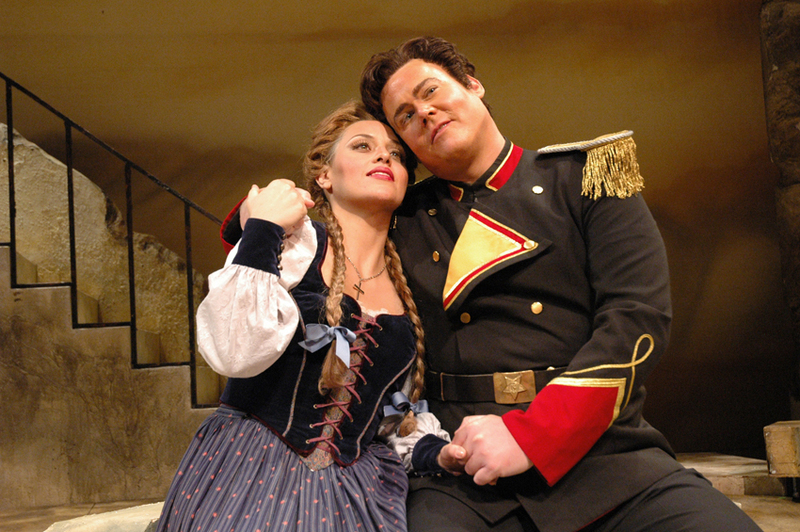 Bryan Register, pictured with Catherine Cangiano, soprano, in Virgina Opera’s production of Carmen, 2006. By the time Register was ready to apply for graduate schools, he did so as a tenor, not a pianist. “I was almost doing it as a dare, to see if what these people had been telling me was true or not.” True it was, and the positive feedback he received as a singer was confirmed when he was admitted, with full scholarship, to the Manhattan School of Music. 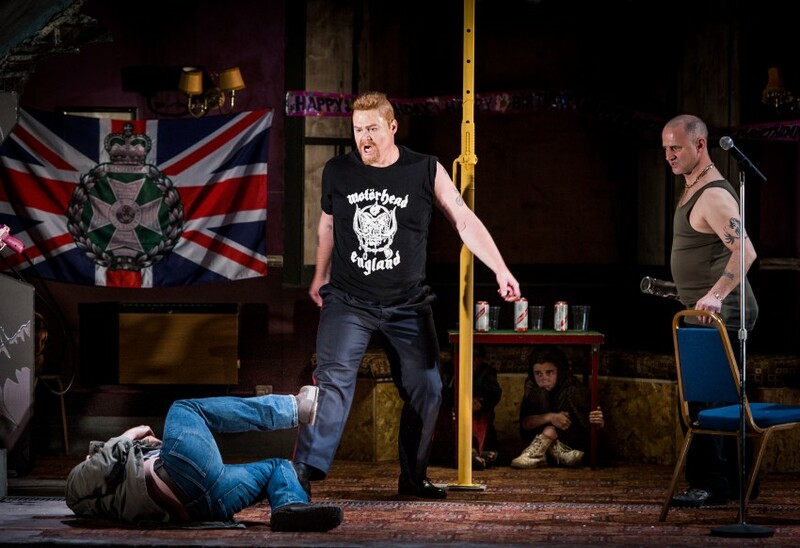 Register in English National Opera’s production of Wozzeck, 2013. Photo: Robert Workman. “My tenor colleauges in school would come in with a flashy Rossini,” says Register of his early training as a tenor, “and it didn’t fit in my voice.” He questioned his own technique, and assumed he was doing something wrong. Following suit with other tenors his age, he worked on Mozart, Schubert, and vocal chamber music, deeming himself not quite ready for operatic arias. “I never did anything bigger than Donizetti,” he says, but he was aware that the repertoire wasn’t a true fit, and that he wouldn’t be hired for lighter tenor roles. Young singers often equate a certain age with a ticket into “heavy” repertoire, but Register has discovered that there’s much less of a connection than is commonly perceived. “Age does not change your fach, necessarily. As you grow, your voice is going to change and mature, but bascially it’s not goint to completely transform into something it never was.” His comfort in Heldentenor repertoire seemed at odds with his age, and he was hesitant to accept his own readiness for “big roles”. 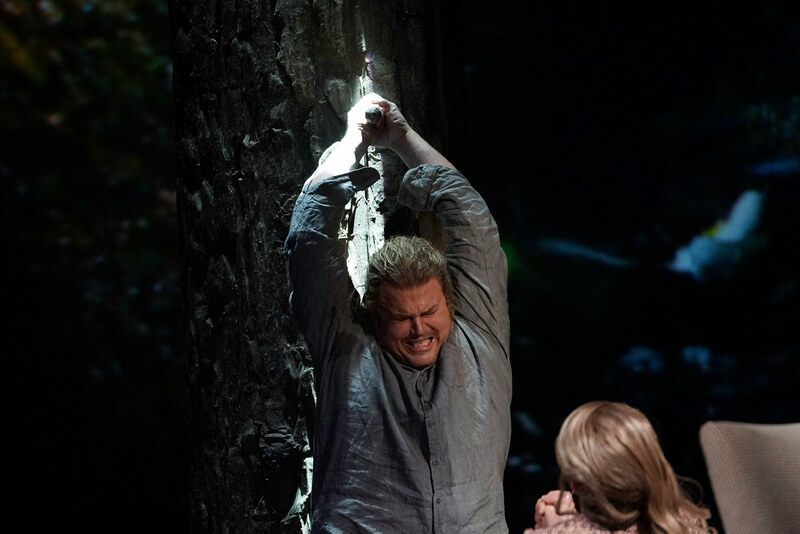 Register in Theater Kiel’s production of Die Walküre, 2016. Photo: Olaf Struck. For full details about Tristan & Isolde at Grange Park Opera, follow our box office links below.